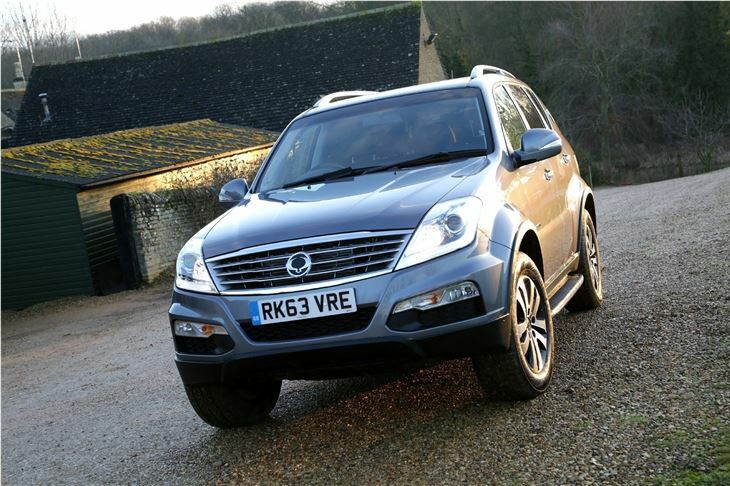 When it comes to building value for money SUVs, few manufacturers can come close to matching the Ssangyong Rexton. 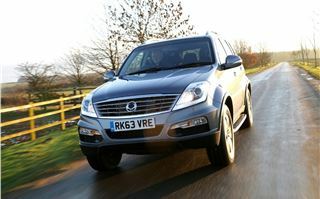 Over the last 10 years the big and practical Rexton has won itself something of a niche following in the UK, but now the South Korean firm is hoping to broaden the appeal of its 4x4 by modernising its styling and improving the interior trims. 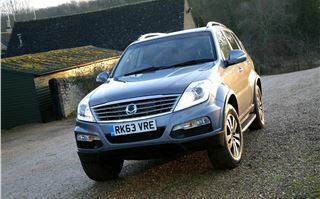 It has also changed its name to the Rexton W - the W stands for worldwide apparently. 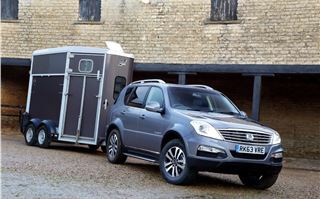 As with previous generations of the Rexton, it retains its all-wheel drive and ladder-frame chassis, much like a Land Rover, but quite unlike a Land Rover it’s priced from a very competitive £21,995. That even gets you seven seats and a generous amount of kit, which makes it a lot of 4x4 for the money. Admittedly, the layout is old-fashioned and drab, with an uninspired centre stack and dull looking plastics, but there is a new soft-touch dash covering. What’s more, everything feels pretty durable and, for this price, you’d hardly expect Audi-style panache and execution. 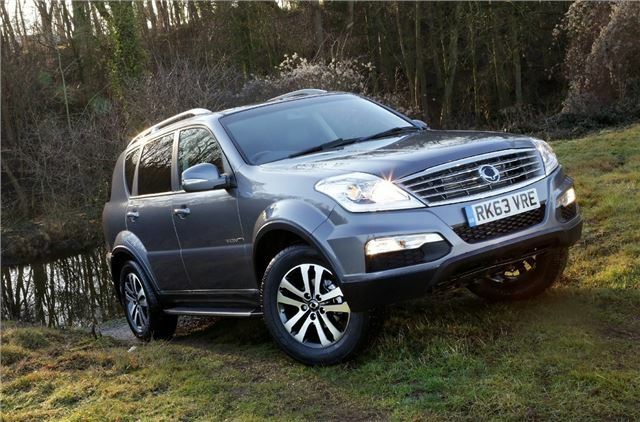 There is plenty of space too and all Rexton W models get seven seats as standard, with the middle row easily capable of seating adults in comfort. However, the back row is accessed by tumbling forward the middle seats, which is fairly easy but requires some strength and the use of both hands. Once they’re out of the way access to the back pair of seats is easy, although it’s best suited to children. The boot is quite big with the back row folded, but it’s also awkward to access because of the very high boot floor. If you needed to load or unload something particularly bulky or heavy it’d be very tricky and you'd struggle to convince a dog to jump in without a helping hand. Additionally the load deck isn't completely flat, and that makes it hard to remove large items without them catching and snagging. All models get selectable low and high range all-wheel drive and that paired with the ladder frame chassis makes the Rexton W a genuinely capable off-roader. 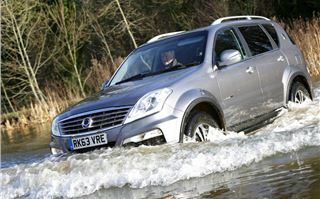 We took our test car on a fairly tricky off-road route, most of which was covered in wet mud, and the Rexton performed brilliantly. The only time it got stuck it was down to ‘user error’ and it still managed to free itself without the aid of another vehicle or a winch. 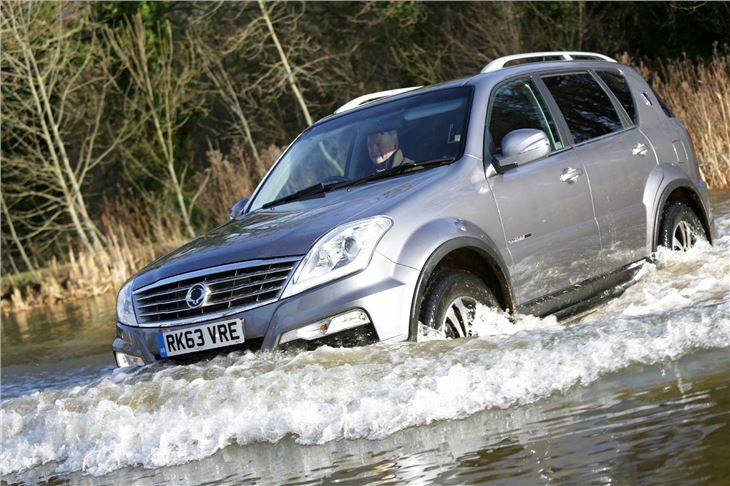 Although the vast majority of Rexton SUV buyers would never dream of putting their car through off-road conditions, we found it to be very capable. Snowy roads, damp field or a rutted track would be no problem at all. 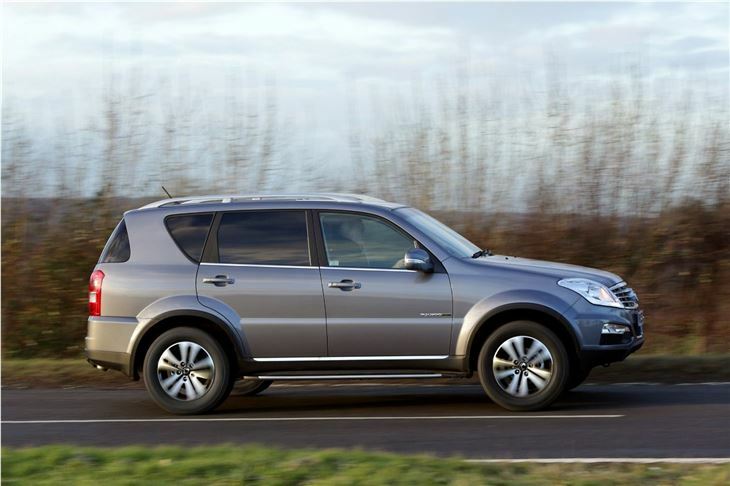 However, for most, on-road manners matter more than off-road ability and in that regard the Rexton is unremarkable. Its low-geared steering feels a little ponderous and can be disconcerting for the first few miles. There’s also noticeable body roll at higher cornering speeds. It’s not all bad though. The ride quality is acceptable over rough roads while refinement, although far from brilliant, is fine. The engine grumbles away audibly but wind noise is minimal. 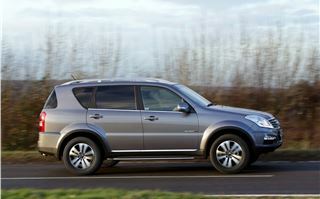 There’s nothing unbearable about the way the Rexton W drives, there’s just nothing to get excited over. The updated Rexton W has a new 2.0-litre diesel engine, which produces 155PS and 360Nm of torque. It’s willing enough, with plenty of go for overtaking and motorway cruising. Economy is acceptable with emissions of 196g/km for the manual and 206g/km for the auto, while official economy is 38.2mpg and 36.2mpg, respectively. That's not great compared to a typical family car, but it's pretty much on par with other large 4x4s. The engine is best suited to the automatic gearbox, which is a five-speed torque convertor. It’s smooth and tends to do what you want it to without too much trouble – it’s even decent off-road, thanks in part to a manual override setting for holding onto lower gears. All Rexton W models come with a decent level of standard equipment, including cruise control, air conditioning, iPod and Bluetooth connectivity, heated door mirrors, plus safety gear like hill descent control. Upper EX models, priced from £24,495, get extras including rear parking sensors, leather upholstery and electrically adjustable seats. 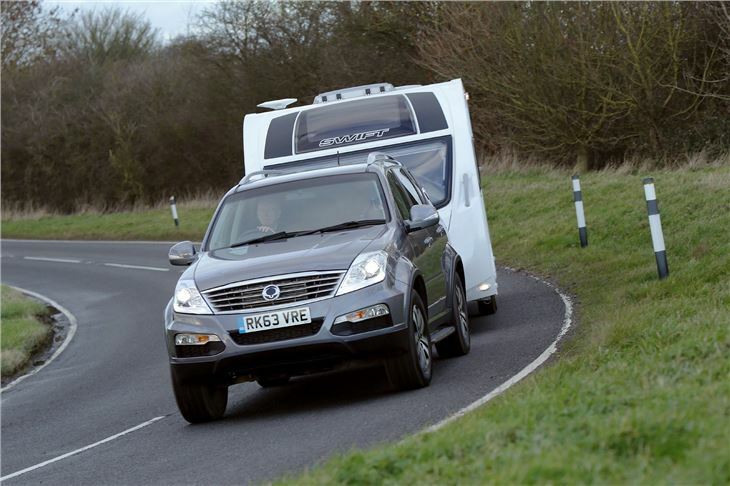 The options list has a few tempting items, like a dealer-fit tow bar and electronics - the Rexton W has a 3000kg braked tow weight rating so it's ideal for towing. 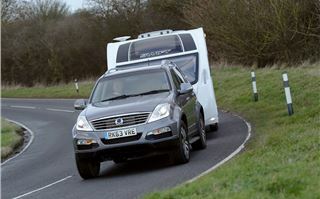 Indeed caravan owners are a key market for SsangYong. One thing to avoid is the £1000 built in navigation system. It’s clunky and complicated to use and offers little more useful functionality than a £150 aftermarket system like a TomTom. The SsangYong Rexton W is not without its problems, but it is an improvement over the old version and has some merits, especially when you consider the £21,995 entry price. Pair that with a good warranty, decent standard specification and genuine off road prowess and there’s a lot to like. 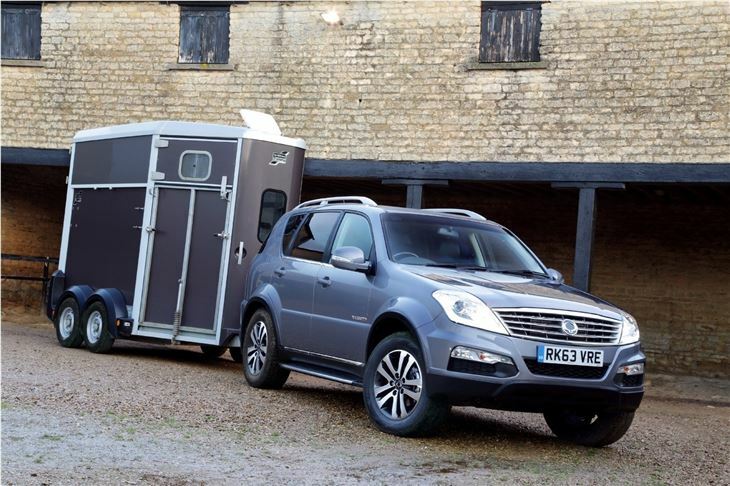 If you have a trailer, horsebox or caravan to tow through fields or on rough roads then there's enough on offer for you to give the Rexton your attention.